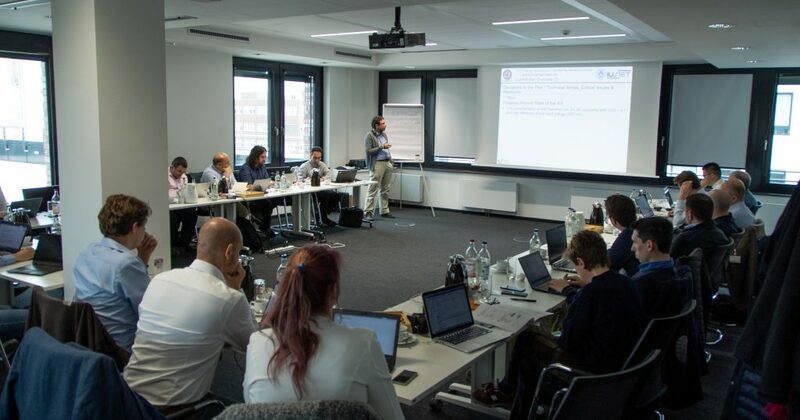 CONNECT’s 4th General Assembly was held at the NXP premises in Hamburg, Germany. During the meeting, the good progress of the project was recognized, while the first prototypes and demos were presented! The CONNECT consortium is based on an EU and national funded project within the ECSEL Joint Undertaking call H2020-ECSEL-2016-1-RIA-two-stage (details see: http://www.ecsel.eu). This website is operated by Infineon Technologies AG on behalf of the CONNECT Consortium. This project has received funding from the Electronic Components and Systems for European Leadership Joint Undertaking under grant agreement No 737434. This Joint Undertaking receives support from the European Union's Horizon 2020 research and innovation programme and Germany, Slovakia, Netherlands, Spain, Italy.